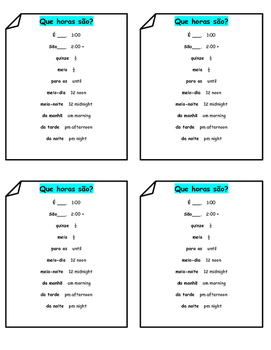 This chart will assist students as they answer the question: Que horas sao? 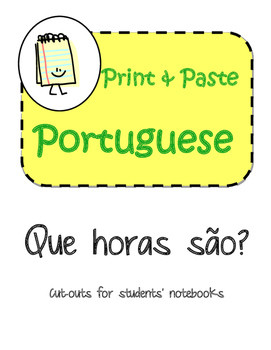 Students can paste in their notebooks or you can print/laminate a classroom set. Included are 4 small per page.